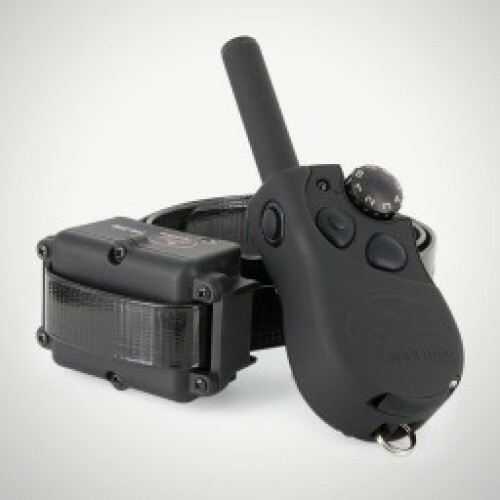 The SportDOG Brand® YardTrainer 350 combines the simplicity of a basic e-collar training system with the versatility and ruggedness of a more advanced sporting dog trainer. With up to 300 yards of range, the compact SD-350 is more than adequate for basic training, while also giving you the confidence to fix control problems at a distance. The Transmitter allows instant correction with level adjustments — 8 levels in both continuous and momentary modes, while a tone feature allows constant communication. The SD-350 is a true all-weather system, with a completely waterproof Transmitter and Collar Receiver that feature SportDOG Brand’s exclusive DryTek® technology. Expandable System: No. One-dog training only. Waterproof: DryTek® waterproof and submersible to 25 feet. Dog Size: For dogs 8 pounds or larger with neck sizes 5" - 22"